Established in June 2015, our Board of Directors passion, practice, business and non-profit knowledge to govern Birth for Humankind, in accordance with our Constitution and Strategic Plan. The Board is dedicated to ensuring a better future for our mothers, children and families. Kirstan is the Co-Founder of Birth for Humankind and a certified doula working in private practise as Birth Wise. She believes ‘mothering the mother’ and nurturing babies within thriving environments is a significant key to creating healthy communities. Motivated by and committed to social change in action, Kirstan has provided mentoring and philanthropic support to various non-profit enterprises. She ensures projects are designed with sustainable foundations in order to generate long-term service and availability in the community. Collaborative projects include Centre for Social Change and Recre8 Bush Adventure Therapy. Her community spirit and special interest in maternal child health care prevails in both her work and personal relationships. Jeanette has more than 10 years’ experience in finance. Jeanette began her career in investment banking in Equity Capital Markets working for Macquarie. After her time in investment banking, Jeanette joined United Energy and Multinet Gas’s Treasury team. Jeanette is currently an Assistant Treasurer at Transurban managing a debt book of close to A$30 billion. Jeanette brings a vast array of skills in corporate treasury, financial analysis, business development and financial & risk management. Jeanette’s passion for Birth for Humankind comes from her own experience of becoming a mother to her two children, and wanting to ensure that all women have the support they need to make their own birth and family experience a positive one. Mei Lai is the Founder of Birth for Humankind and was the CEO until February 2017. Her inspiration for the organisation came through a diverse background in social work, community development, as a doula, and as a yoga teacher – all fuelled by immense passion and a desire for a socially just and thriving world. With a Master of Social Work, she has experience developing, managing and delivering psycho-social and community development programs for Aboriginal communities, youth, and people seeking asylum. For Mei Lai, it’s a simple equation: Birth for Humankind = Birth Support + Social Justice + Heart. She is currently a Founding Director on the board. Kirsty has over 20 years experience in senior management roles, leading large, multi-disciplinary teams in the not-for-profit and private sectors. As an experienced General Manager, Human Resources generalist and Company Secretary, Kirsty has experience managing people and culture, finance, business development, sales, communications, ICT and corporate governance. 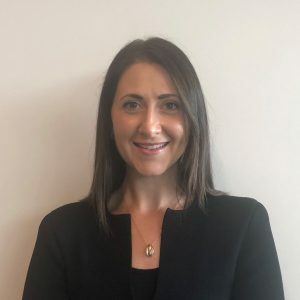 Kirsty is currently appointed as Company Secretary for Scope (Aust) Ltd., the largest disability services provider in Victoria, and is a Director and Company Secretary for Home@Scope Pty Ltd (a wholly owned subsidiary of Scope (Aust) Ltd.). With a strong passion for social justice, equality and wellbeing, Kirsty is committed to Birth for Humankind’s vision of empowerment, care, support and education for mothers, and their growing families. Raj has more than 10 years’ experience in both commercial and non-for-profit sectors and has lived and worked in Australia and USA. 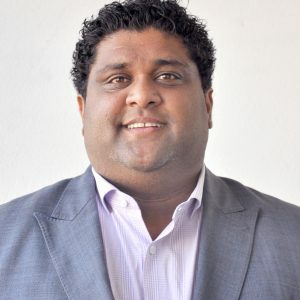 Raj serves as a non-executive director for Asha Global (appointed March 2015) and Bendigo Bank – Prahran and Windsor branch (appointed May 2015), and is an advisor with Australian Red Cross on corporate partnerships and relationship management. Raj began his career as a consultant at AECOM and interned with the United Nations in New York on Project Umoja. He is currently the priority account portfolio manager within PwC. Raj brings a vast array of skills in business development, financial & risk management, business strategy planning and partnerships. Raj has previously been nominated and shortlisted for the International New Face of Engineering Award, sponsored by the US National Engineers Week Foundation. Olivia is an Australian qualified lawyer with extensive experience in corporate and commercial law. She has advised a wide range of businesses both in Australia and overseas in relation to corporate structure, compliance, intellectual property, fundraising and contract law. Olivia brings to the Board knowledge of the not-for-profit regulatory environment and has been fortunate to have been involved with advising a number of not-for-profit and charitable organisations on a pro-bono basis. Pregnancy and childbirth have been incredible and life-changing experiences for Olivia and she is passionate that all women have access to the kind of support that enables a happy and celebrated birth experience.